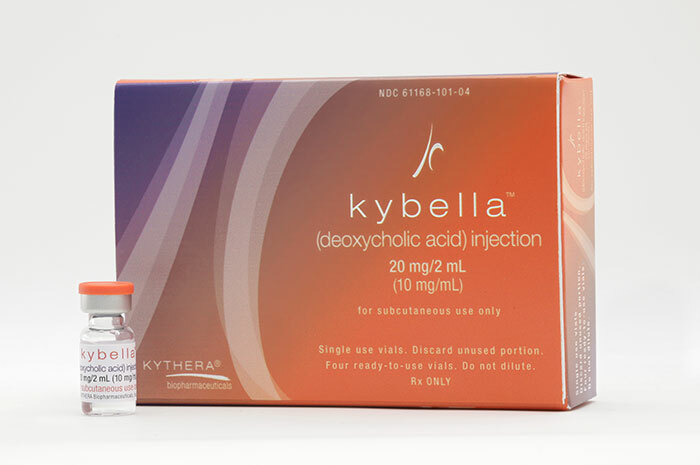 The amount of Kybella needed for one treatment session varies among patients, but on average, requires approximately 20 injections for treatment of a double chin. The number of sessions required also depends on the individual. Once treatment sessions are complete, the results are expected to be permanent. The recommended minimum treatment is 20 injections.